Is Flashpacking the Future of Backpacking? Home » Blog » Is Flashpacking the Future of Backpacking? Is backpacking best left to the young, free and undiscerning? Many see it simply as a chance for eighteen-year-olds to put off real life for a while, getting drunk in ramshackle beach bars and sleeping in palm-frond huts. But what happens when those undiscerning backpackers grow up without losing their yearning for real travel? They hit the road again as flashpackers. Anyone who’s been through the world’s traveler hotspots a few times will have seen the advance of the flashpacker. Bangkok’s Khao San Road, the lynchpin of many a backpacking trip, was once full of seedy hostels, where travelers paid a few baht to sleep in a windowless cubicle. Today, it’s lined with comfortable mid-range hotels boasting rooftop pools. The people who stay in those hotels are flashpackers. They are former backpackers who’ve grown older and landed good jobs without leaving their youthful wanderlust behind. But they chase that wanderlust in a considerably more comfort than the average backpacker. Their jobs pay for that comfort, but they also mean they’re not on the road for much time. Most flashpackers are on a long holiday, taking just a few weeks off rather than months or years. Bigger budgets and shorter trips mean flashpackers can travel in style, bringing with them all the extras they need from home as well as splashing out on restaurants, cocktail bars and (relatively) plush hotel rooms. Look inside a flashpacker’s backpack, and you’ll find a few gadgets, such as high-end laptops and DSLR cameras. They’re kind of things you wouldn’t want to leave in the average hostel, but that are pretty safe to have in a flashpacker hotel. 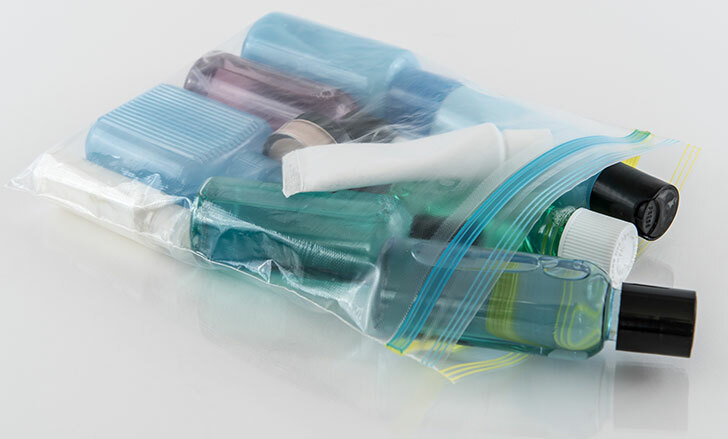 You might find something like this ready-madetravel kit, pre-packed with travel essentials (ideal when you’ve got to head to the airport straight from work). And alongside the obligatory Lonely Planet, you’ll probably find a few notes on the best local yoga retreats or cookery classes. Is on a trip lasting at least three months, and maybe much longer. Will pick up fruit-picking or bar work along the way so they can extend their trip. Has a tight budget, with daily spends worked out to the last penny, baht or rupee. Eats from the first street-food stall they can find before heading out to party hard for as long as they can stand. Wears worn-out flip-flops and t-shirts they’ve hand-mended. Sleeps in dorm rooms or cheap beach huts with shared showers. Is on a three-week holiday from work. Checks in with their boss regularly while on the road. Has cash to splash on extras like elephant treks and sunset cruises. Takes guided street-food tours so they can be sure to sample the best each city has to offer. Has a well-thought out capsule wardrobe bought for their trip. Stays in air-conditioned hotel rooms. You may have left your youth behind in a haze of full moon parties, but that doesn’t mean you’re now restricted to sensible resort holidays. It just means you’re able to backpack better than you used to. With a little extra money in your pocket, you can take the best bits of backpacking, the freedom and exploration, and experience them while sleeping in a comfortable, clean bed every night. Plan ahead. In your backpacker days, you might have been happy to skip between towns without much of a plan. As a flashpacker on a schedule, it pays to check out in advance where the good restaurants are and book your accommodation before you go. A couple of nights in a fleapit isn’t good for the soul when you could have stayed somewhere fabulous, if only you’d booked ahead. Pack well. Take clothes that will work as well in a classy restaurant as in a beach bar, and allow yourself a few comforts and luxuries. A TSA compliant travel kit will cut down on airport hassle, and a tablet will give you an instant entertainment system. Keep your mind open. Flashpacking is backpacking, just with added extras. If the road leads a different way to where you thought it would, allow yourself as much flexibility as time allows. Young people on a shoestring budget will always be the beating heart of the travelling scene. But the travel dreams don’t have to end with age. For young-at-heart former backpackers, flashpacking is absolutely the future, if they want it to be.